May 2, 2018 April 29, 2018 / Elizabeth T.
When you think of pastels in the spring, it’s hard not to think of Easter and be reminded of your childhood hunting for eggs and eating chocolates, right? Though pastels may seem a little “girlish,” especially in our twenties, I still think they’re the perfect colors for the spring because they’re so soft and feminine. 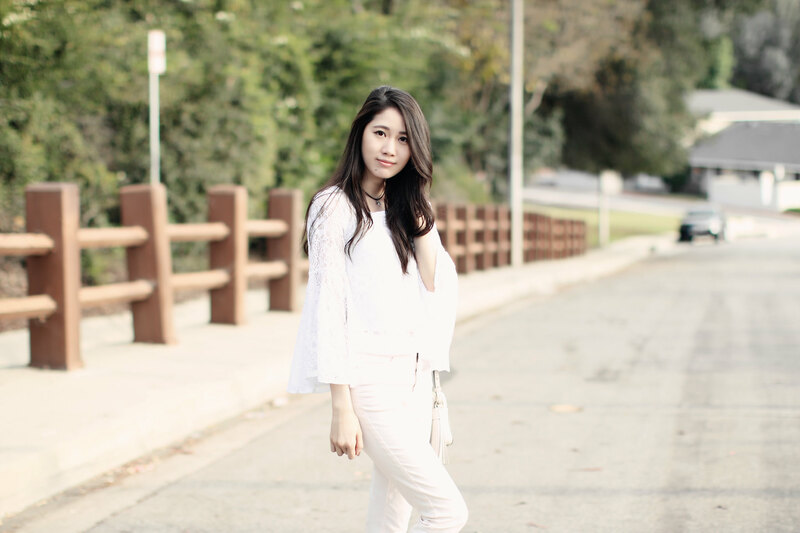 I’m actually quite a fan of pastel tones and can’t stop wearing them! If you’re like me and love pastels as well, keep reading to see how I style these soft colors for a more mature look that’s still feminine and sophisticated. When thinking of pastels, it’s hard to not think about white as well, right? Personally, I always opt to include white in my pastel ensembles because it’s the epitome of a soft yet feminine look, don’t you think? Though I love pastels so much, they can easily get lost, since the softer colors tend to blend together, especially when you add white in to the ensemble. This is why I pay special attention to fabrics in order to help each individual piece stand out. When choosing fabrics, I tend to lean towards more feminine and sensuous fabrics, such as lace and silk, because the details are not only intricate, they also help set it apart from other more common materials. And of course, ensembles that are more figure-hugging and help accentuate the body’s natural silhouette can also help to create a more feminine look. I tend to opt for skinny jeans that elongate the legs or dresses that either hug the body for a look that emphasizes the figure for a more mature look. What are some of your favorite ways to style pastels for a more feminine and mature look? Let me know in the comments because I always love hearing from all of you! My entire wardrobe is made of pastel colors! I simply love them too much! Awesome tips for wearing pastels! Especially the figure-hugging pieces! Love your outfit! Thank you love ❤ 🙂 Glad you liked these tips! Ahh these are great tips! And I love your entire look! It’s so chic! Such a pretty outfit babe, love it! Love this beautiful lace top! Super cute! Thanks Jane ❤ 🙂 These lace tops are one of my favorites! Your outfit is lovely! Perfect combination. Thank you babe ❤ 🙂 Glad you liked the outfit!